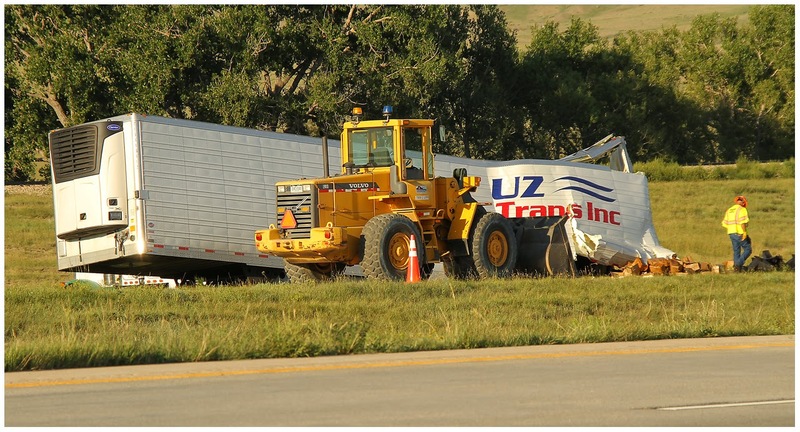 The Limon Leader / Eastern Colorado Plainsman: Crash on I-70 claims one life. 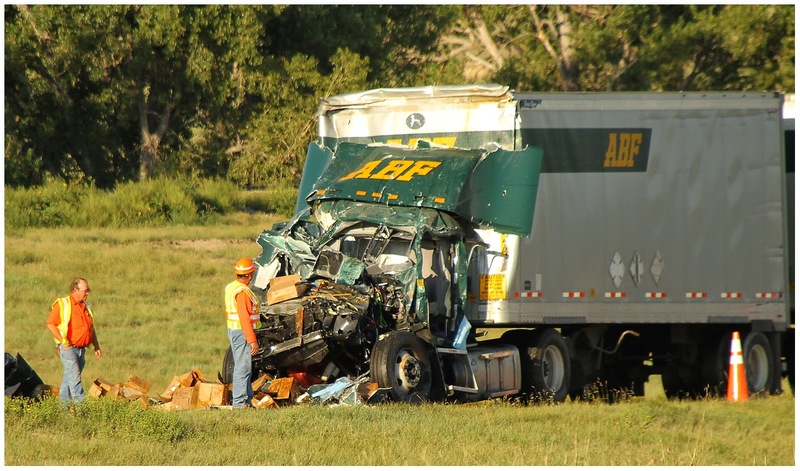 On Tuesday, Aug, 12, around noon, an ABF truck, traveling at the posted speed limit hit another truck in the westbound lane of I-70 at the 366 mile marker. The truck that was struck was traveling approximately 20 miles per hour according to CSP representatives. The driver of the 2014 Mac Truck, Allen Oliver, 60, of Missouri was pronounced dead at the scene, the driver that was struck sustained no injuries! The accident took several hours to remove from the west bound lanes of traffic, still impairing traffic flow past the 5-o-clock hour.